Brazilian meat firm JBS is set to acquire Moy Park, the British unit of Marfrig Global Foods, for $1.5 billion, according to a report in Business Insider quoting AFP. The purchase is said to further JBS’s plans to expand its presence in the European processed foods market. 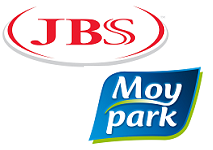 JBS will pay $1.19 billion in cash as well as assuming Moy Park’s debt of £200 million ($318 million), according to reports. Moy Park produces and processes poultry in Britain, Ireland, the Netherlands and France. The division’s sales accounts for around 26% of Marfrig’s total revenue, Reuters notes. “This transaction represents an important step in JBS’ strategy to grow its portfolio of prepared and convenient products with high value added portfolio,” JBS investor relations officer Jeremiah O’Callaghan said in a statement. “In addition, this acquisition increases the company’s geographic diversification, with a relevant expansion of its operations in Europe”, the company added. The transaction is subject to European antitrust regulatory approval and is expected to be completed by the end of this year.